The Pareto principle or the 80/20 rule should be considered when you are deciding how to focus your business energy. Brad Sugars in his book, “Buying Customers” and Stan Phelps in his “Goldfish books” shared that usually around 20% (more or less, the amount can vary for individual businesses) of your customers bring in most of your profits. These are your best customers. 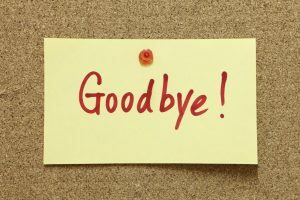 Recently we had to say “Goodbye” to the client we had been working with since we started this business. We had enjoyed working with them over the years, but a change in management took the business in a new direction, and we could see continuing was not in our best interest or theirs. Like both Brad and Stan point out in their books, it is just good business to let go of clients who are not really helping your business as much as you are helping them. That will give you more time to focus on your better clients, and those good clients will appreciate your elevated attention. It’s helpful to periodically consider your relationship with each of your clients; whether your business relationship is mutually beneficial, or if both of you would be better off if you parted ways. Give yourself more time to focus on your best customers. And if you’d like help with online advertising and digital marketing for your small, local business, contact Jax SEO Works. We can provide recommendations, and assist you in getting better business results from the internet.